Soap is simply an alkali mixed with an ester (or fat). A soap molecule has one end which is negatively charged, which attracts water. The other end attracts dirt and oil, and these particles are then effectively "insulated" from the water. This is why soap removes dirt. I never had a problem with inorganic Chemistry at University. (Organic Chemistry, on the other hand, was a complete nightmare). But even if the thought of chemistry fills you with dread, making soap is really easy. However, one needs to be careful when handling sodium hydroxide (NaOH). When I was at school, we had a biology project in which we either had to perform a taxidermy on some poor dead creature, or mount the skeleton of some other poor dead creature. I chose the first option; but one of the girls in my class elected to display the skeleton of a rabbit. The flesh was removed from the bones by soaking them in a solution of sodium hydroxide. The silly girl put her hands into the mixture to remove the nicely-cleaned and whitened bones. Unfortunately the sodium hydroxide started to do its cleaning and whitening on the flesh of her fingers, so she spent the next few weeks with bandaged hands. So do not touch sodium hydroxide unless you are wearing gloves. And some safety glasses would be a good idea as well. You have been warned! There are two main processes which can be used for soap-making; the hot process, or the cold process. I use the latter. Also, the following recipe is the one I use; I don't tend to use additional colours or fragrances; if you become bitten by the soap-making "bug" you may find yourself experimenting! I've also shown the oils which I normally use - if you use different ones you will need access to a thing called a saponification chart. This simply tells you how much sodium hydroxide solution you need for a given quantity of your selected oil or fat. At the bottom of this page is an Excel worksheet containing this information. You may download this by clicking on it. I find that the addition of coconut oil gives a lovely lather. A large stainless steel or enamel saucepan (don't use aluminium). A heat-proof measuring jug, e.g. "Pyrex"
Some sort of mould into which you can pour the liquid soap. Silicone cake-baking moulds can be used. A sheet of cardboard, and a towel (these are used to cover the soap whilst it sets). Place the water into the pyrex jug. Carefully pour the sodium hydroxide into the water, stirring constantly with a steel spoon. Be careful not to splash, and avoid breathing the fumes. The solution will generate a considerable amount of heat, over 90°C. Never add the ingredients the other way around; if you add water to sodium hydroxide there will be unpleasant results. Stir the solution until all the sodium hydroxide has dissolved. Place the jug to one side. You can now measure the temperature with the thermometer. Note: if you only have one thermometer, it should be rinsed with clean water before transferring it between the liquids. The olive oil and coconut oil are now placed into the saucepan and heated on the stove. The idea is to try and get the temperature of the oil mixture to be the same as that of the lye (sodium hydroxide solution). I generally find if I heat the oil mixture to around 55°C the lye has cooled to around this temperature by then. Don't let everything get too cool. A good temperature range is between 30 and 55°C. But as long as the lye and the oils are at similar temperatures your soap should turn out fine. When the liquids are at the correct temperatures, switch off the stove, and gradually pour the lye into the oil in the saucepan, and start stirring. Once all the lye has been added, the stick blender can be switched on to thoroughly mix the concoction. The mixture gradually becomes more opaque and starts to thicken. You need to keep stirring/blending until you reach the stage which we in the soap-making trade refer to as "Trace"! No, seriously, all this means is that when you drip some of the mixture from the blender onto the surface of the concoction it leaves a visible trace before sinking back into the depths. Once you have reached the "Trace" stage, you can then pour the mixture into your mould. Cover the mould with the sheet of cardboard. This will prevent the towel touching the surface of the soap whilst it's setting. Then cover the whole lot with the towel. This is to prevent the soap cooling down too rapidly and cracking. 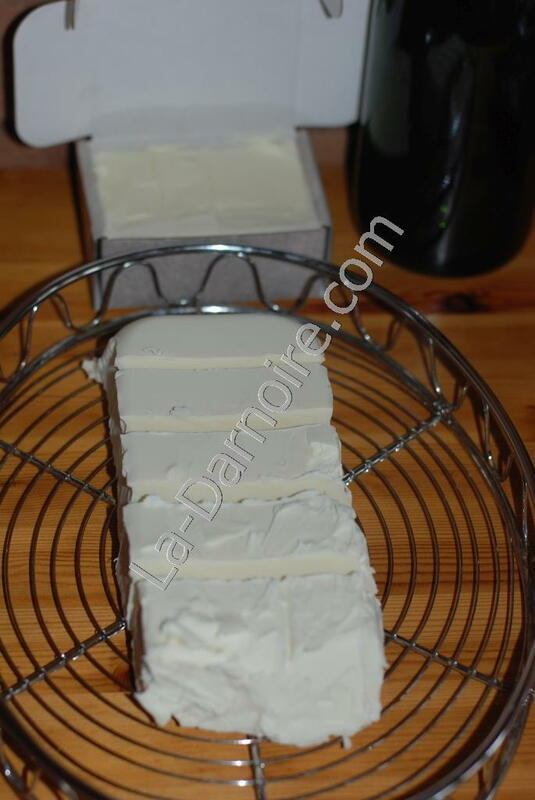 Leave the newly-made soap at room temperature until it has solidified. I find this usually takes around 24 hours. Once the soap has set, remove it gently from the mould. It will still be very soft and can be cut into smaller bars if required. If it appears to be too soft, leave it alone for a couple of days and then try again. Unfortunately you won't be able to use it straight away! It needs to "cure" for a further three or four weeks at room temperature. This allows the soap to lose excess moisture, become harder, and actually last longer too! Don't keep the soap in a cold place or it will "sweat". For liquid soap, you need a different alkali, potassium hydroxide (KOH). This can be obtained from wood ash. Using a small wooden barrel, drill some holes in the bottom. Stand the barrel on some bricks so that you can fit a bucket underneath. Now cover the holes you drilled with some coarse gravel, followed by a layer of straw. Fill the rest of the barrel with wood ash (you want hardwood ash, not that left over from burning softwood like pine). You now need some soft water e.g. rainwater. Pour a bucketful of this into the barrel. Pour on another bucketful every 3 or 4 hours on the first, third and fifth day. The water that drips out of the bottom will be potassium hydroxide. For soap-making, you need a fairly strong solution of KOH. The way to test if it is strong enough, is to dip a chicken feather into the solution. If it dissolves, it's strong enough. Another test is to float a chicken egg in the solution. If it floats just below halfway, it's fine. If the egg floats too high, the solution is too strong. Add some more soft water, a little at a time, until the egg floats halfway. If the solution is not strong enough (the egg only just appears above the surface), you can either boil the solution, or add some more wood ash to the barrel, and pour the solution over the new wood ash, once again collecting the liquid as it exits the bottom of the barrel. If you do use an egg, throw it away after use; it's not safe to eat. This is a "hot" process method, unlike the bar soap recipe above. 85g fragrance or essential oil, if desired. You could also add some colouring if you want. Measure out your oils and put them in the crock pot on low. You want this mixture to be at around 70 °C throughout. Once the oils have reached the desired temperature, slowly add the potassium hydroxide solution and stir. Now use the stick blender to thorougly mix the ingredients. At first the components will seem to want to separate. Keep blending. It can take a long time to get to "trace", sometimes as much as 30 minutes. You can't over-stir it! Once the soap has reached trace, give it one more good stir, and put the lid on the pot. Check on the soap in about 15-20 minutes. If there's any separation, just stir it back up and put the lid back on. Keep checking every 20-30 minutes or so. Keep stirring every 30 minutes or so through each of the stages. It will be difficult to stir when it gets to the 4th stage; if you have a potato masher this will help! Then, just when you think it's never going to finish, it will start to get creamy and move into the vaseline stage, getting more translucent. Once you've reached the 3-4 hour mark, and the soap has softened and turned translucent, it's time to test it to see if it's cooked long enough. Take 60g of boiling water and add 30g of your soap paste. Stir the soap, breaking it up and helping it dissolve in the water. Once it's completely dissolved (after several minutes) check to see how clear it is. If it's just very lightly cloudy, that's fine. It may be your combination of oils. Also, the soap will "settle" after it's finished and get even clearer. But if the dissolved soap mixture is milky or very cloudy, you've either not cooked it long enough or you've mis-measured somewhere. If the test mixture stays clear as it cools, you're good to go. Now take the 1134g of water and bring it to a boil. Add the water to the soap paste. Stir it with a spoon or the potato masher. Switch off the crock pot, put the lid on and wait. After an hour or so, stir it some more. Put the lid back on and wait some more. Repeat the waiting and stirring until the soap paste has completely dissolved in the water. It's now time to neutralize the soap. Switch the crock pot back on, and heat the mixture back up to around 80°C. In a measuring jug, mix the neutralizing solution. Add 85g borax to 170g boiling water. Stir well, and make sure it stays hot otherwise the borax will start to precipitate out of solution. Add about 20g of neutralizer for every 500g of soap paste. Too much neutralizer can cause cloudiness, so err on the side of caution; slowly pour 20g of neutralizer into the re-heated soap mixture and stir well. If it's not cloudy, add another 10g. Then, if it's still not cloudy, another 10g. Once the soap has been neutralized, you can add your fragrance and colour if desired, a few drops at a time. Let the soap cool and pour it into large bottles or jars. Put it aside in a cool place to rest. During this resting phase, the insoluble particles should settle to the bottom. This may take a week. The soap can then be poured into other bottles, being careful not to disturb any sediment.